Goa is the most popular beach destination of India having a good reputation among the international beach lovers. Goa has a moderate climate throughout the year. The seasons show no extreme temperature and the state is sunny and pleasant during most of the time. Monsoon in Goa is observed between June and September. It provides lots of opportunities for young couples to explore the beauty and serenity of the Goan beaches under monsoon showers. 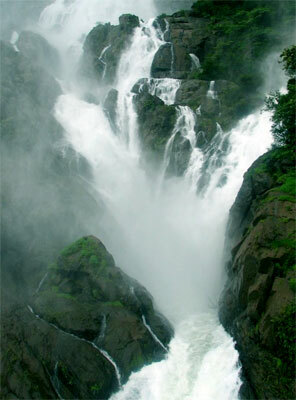 Exploring the amazing beauty of the Dudhsagar falls located near Mollem National Park is another monsoon attraction. 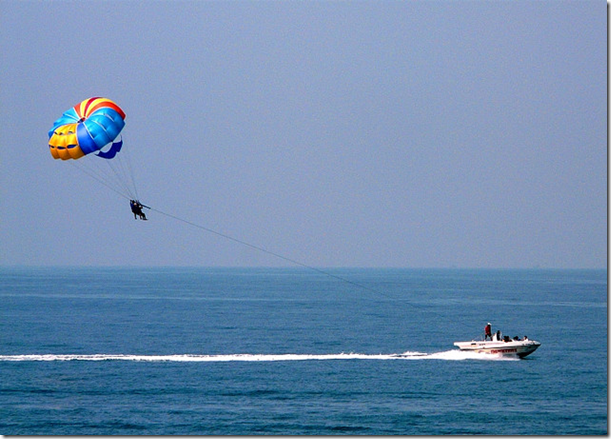 Summer months from March to June in Goa are best for adventure and leisure activities. 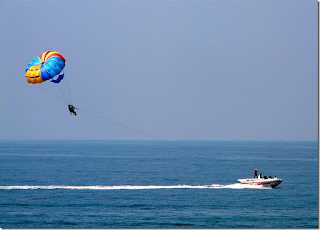 The adventures include parasailing, scuba diving and many other water sports. You can enjoy the fascinating nightlife in Goa and taste Goan delicacies. Winter months from October to February are the ideal time to visit Goa with comfortable and romantic climate. Its festive time here and you can enjoy the incomparable pleasures of winter carnival. 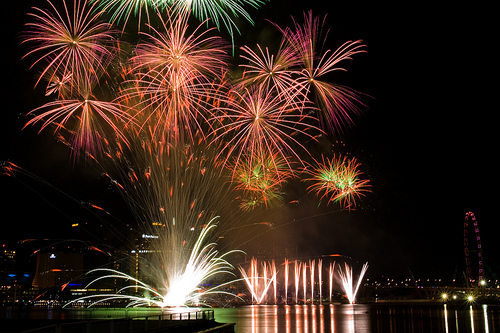 Christmas and New Year in Goa means a feast of alluring fun and leisure activities. Apart from this there are many other things to do in Goa. Goa tourism comprises of beach delight, experiencing the exotic blend of traditional and modern culture of Goa, cheering night life, exploring the incredible nature and enjoying various marine sports. The other options are river cruising, fishing and enjoying the Goan cuisine while sipping some branded liquor. Top priority while visiting the tourist places in Goa is no doubt the famous beaches like Colva, Candolim, Baga, Aguada, Dona Paula and Anjuna beach. The other places are the historic monuments, temples and churches in Goa. In response to the growing tourist flow at Goa the hotels in Goa provide sufficient means of luxurious stay. For budget travelers there are many cheap and budget hotels providing basic amenities and in-house restaurants offering best Goan as well as other popular cuisines. Hotels near beaches are a great opportunity to stay and explore the charm of the beaches. Goan beach restaurants are the place to be for food savvy people and the boozers.